There are few things I love more than coming home to find an envelope full of goodies from far away waiting at my doorstep. If you'd like to see more lovely letters as they arrive in my mailbox, follow me on Instagram for regular updates! Also, a few paper delights made by yours truly have been featured on The Tea Drinking English Rose, which is one of my favorite blogs. Click here to take a peek. I have postal envy! I definitely need to buy a cute address book and collect all my friends details in, once band for all instead of the hurried and totally uncasual "hey what's your address?" the week of their birthday! So cute! These are lovely! 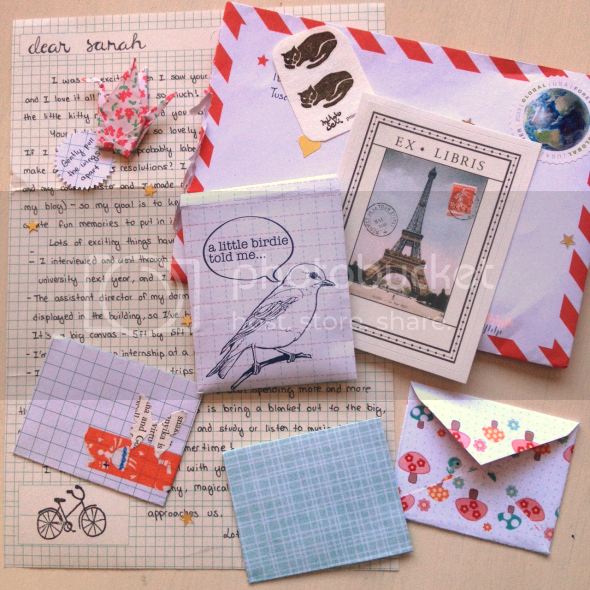 Your penpals are awesome, this is all so beautiful! So much effort. I love all the different stationary. I used to collect Sanrio stationary, but gave it up. :/ I tried to have pen-pals, but I'm horrible about writing back. Love your blog! 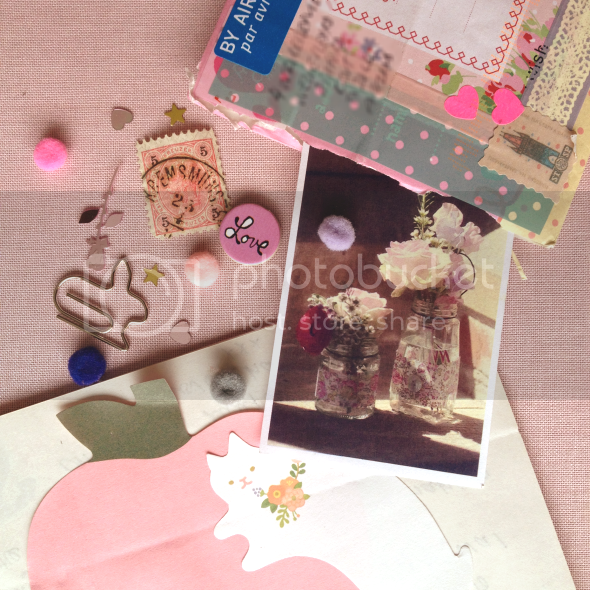 in love with your blog..
wow these letters are amazing! I really long for a letter friend now. I just came across your blog and I absolutely love it! Everything about it is perfection-the macarons in your header, the pretty pastel color scheme, and your gorgeous posts. 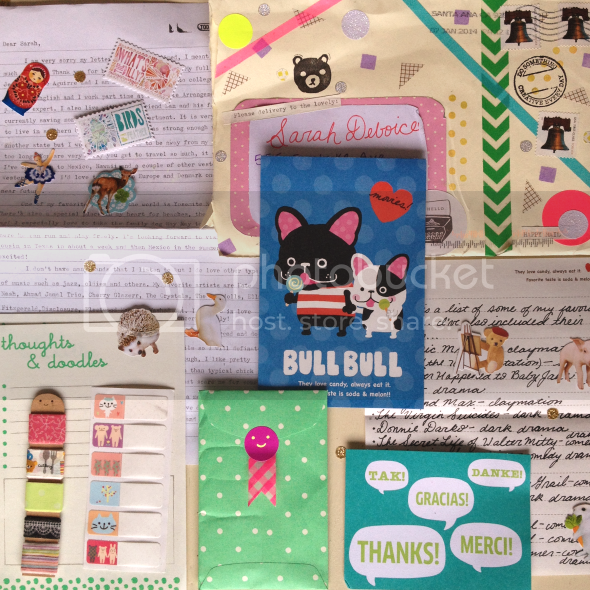 This pen pal idea makes me want to start sending more colorful mail to my friends! Pen pals are wonderful! 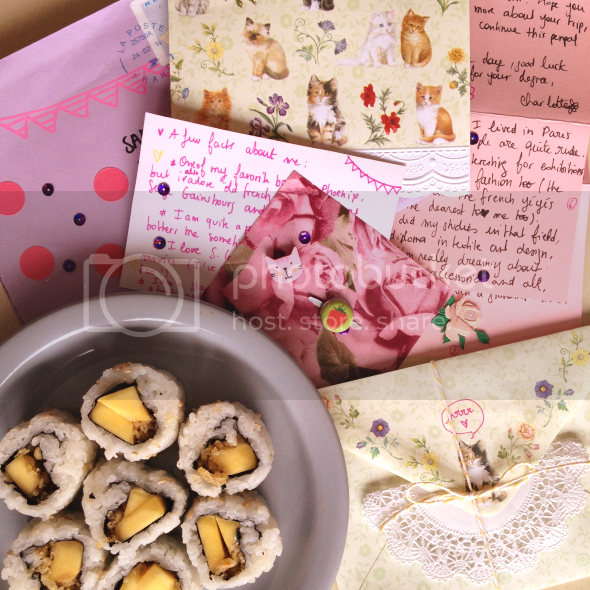 And so much thought has been put into these letters, so cute! These are all so beautiful! 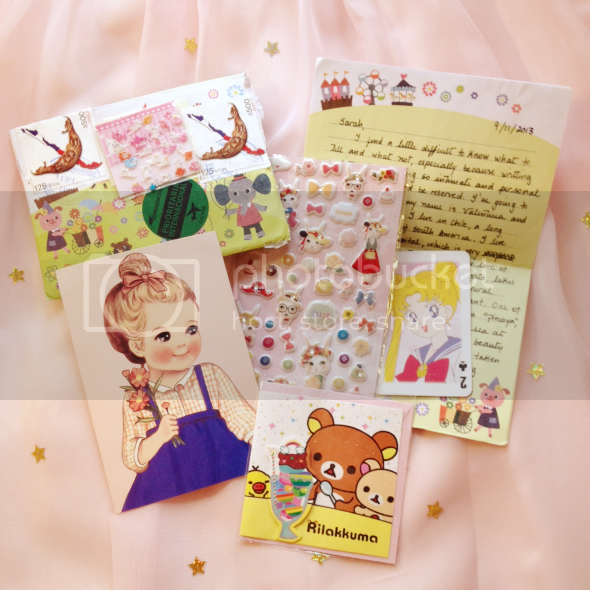 Having pen pals is the best! This is so nice, coming home to handwritten treasures! Your pen-pals are lovely. Love your place! Soo whimsical, cozy and cooool!!! JUST everything is sooooo perfect and fun and amazing! I work on my dining room table too--for everything! It's the bEST! I definitely want to be your penfriend!! !